This week’s Male Athlete of the Week is Bryce Thompson. Thompson is a junior on the MSU Mens Golf team. Thompson is from Chisago Lakes, MN. Thompson’s accolades include being name to the All-NSIC Second team in the 2016-2017 season, as well as being named NSIC Men’s Golfer of the Week in 2018 after carding rounds of 70, 76 and 68 and his 214 (+1) placing him second at the Holiday Inn Express Classic held in St. Joseph, Mo., Oct. 9-10, 2018. Let’s get to know Bryce better. Thank you to Bryce for taking the time to answer these questions. The Athlete Spotlight is weekly segment in order to feature Spring sport athletes throughout the rest of Spring semester and help readers get to know MSU athletes a little bit better. If you are an athlete or know of an athlete who should be featured on the Athlete Spotlight, send an email to alexander.baumann@mnsu.edu. Have you ever wanted to experience an authentic drag show? Now’s your chance. 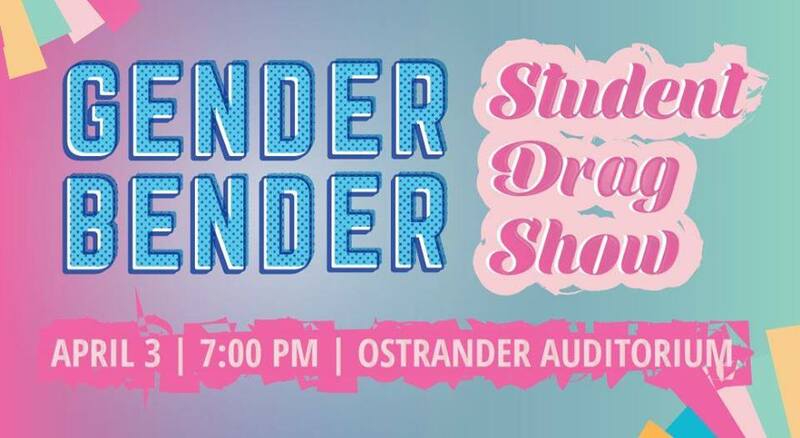 The LGBT Center is hosting a Gender Bender Student Drag Show on Wednesday, April 3r from 7:00 p.m. to 9:00 p.m. in the Ostrander Auditorium in the Centennial Student Union at Minnesota State University, Mankato. Tickets are cash only and $3 in advance in the LGBT Center in CSU 194 or $5 at the door. Make sure to purchase your tickets in advance to ensure your spot at the show as tickets typically sell out before the doors open. Returning this year as both an MC and performer, Mistress Victoria DeVille. 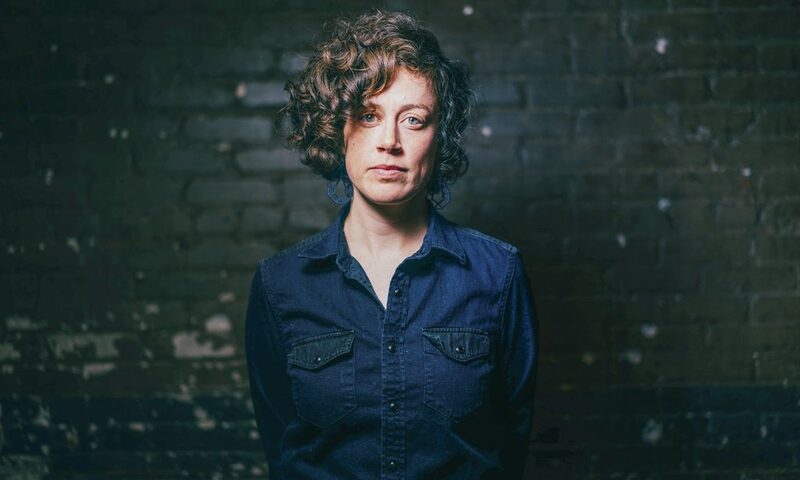 Joining her is cities-favorite and MNSU alumna, Nocturna Lee Mission. Joining them on-stage are The Rose Sisters, Luscious Rose, Princess Blue Rose, Aniyah Rose, Luna Muse and six new student performers who will be gracing the stage for the very first time! In addition to both student and professional drag performers, students can expect awesome costumes and larger than life personalities. Students are also encouraged to tip the performers with $1 as this is a typical occurrence at a drag show, but it is not necessary as the performers are already being paid. For more information about the Gender Bender Student Drag show, stop by the LGBT Center in CSU 194 or visit their Facebook page at: https://www.facebook.com/LGBTCenterMSU/. Minnesota State’s Student Government approved a 4.9 percent increase to the Student Activity Fee (SAF) for the 2019-20 school year, which will require a student referendum to pass. The vote to approve or reject the referendum will take place as a part of the Student Government elections on Tuesday, April 9. For approval, more than 50 percent of students who vote in the election must indicate they’re in favor of the increase. The need for the referendum comes from a piece of Minnesota Legislature passed in 2017. Minn. Stat. § 135A.0434 Mandatory Student Activity Fees Referendum says if a student activity fee budget increases by more than 2 percent from the previous academic year, the increase must be approved by a majority vote of students who vote in a campus referendum. In total, the SAF budget is worth $2,683,047 and that money helps to fund 37 student-activity related organizations including, but not limited too, campus recreation, intramural sports, Student Events Team, homecoming, fraternity and sorority life, community engagement, multicultural activities, international activities, sexuality and gender programs, theatre, dance and several others. The $2.68 million budget breaks down to a per student cost of $8.77 per credit hour, banded at a max of 12 credits, or $105.24. This is just slightly more than last year’s total of $100.32. In short, students would be paying a maximum of $4.92 more per semester to continue fully supporting 37 student activity groups. This is the second straight year the SAF will have to go referendum. In 2017, Student Government approved a SAF increase of 2.96 percent. The higher percentage this year results heavily from contractual obligations for full-time staff, an increase in minimum wage for student workers and a lower student enrollment. If the referendum fails to pass, a 2.3 percent cut will be made to each of the 37 groups who rely on the budget. In addition, $25,000 would be added to the budget from SAF reserves. These changes would bring the percent change down from 4.9 to 1.91. Any students interested in learning more about the referendum can reach out to Student Government President, Meme Cronin, at maryelizabeth.cronin@mnsu.edu or to the Advisor, John Bulcock, at john.bulcock@mnsu.edu. For this edition of Athlete’s Spotlight the inSIDER features MSU Women’s Tennis player Valerie Bresnahan. 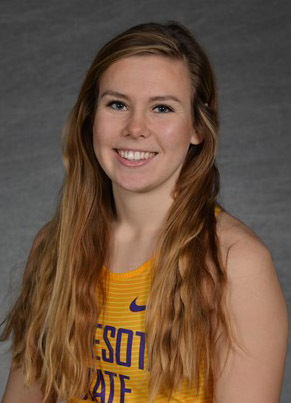 Bresnahan is a Senior this year, is from St. Peter, MN, and is a two-time selection to the NSIC All-Academic Team. Let’s find out more about her. What three items can always be found in your refrigerator. I know how to make people smile. Wednesday, I forgot there was a snow emergency in my parking lot when I was on campus from 8a.m.-6 p.m. and my car didn’t get towed. That was pretty lucky. I would work in retail for a home improvement store and name paint colors. My teammates inspire me every day – especially when they run faster, lift more weight, or hit a harder forehand than I can. I will never drink coffee after 4p.m. again. Buy baseball tickets to a game at every major league field in the U.S. I love calling myself a Maverick and all of the friends I get to share that title with. Thank you to Valerie for taking the time to answer these questions. The Athlete Spotlight will be a new weekly segment in order to feature Spring sport athletes throughout the rest of Spring semester and help readers get to know MSU athletes a little bit better. If you are an athlete or know of an athlete who should be featured on the Athlete Spotlight, send an email to alexander.baumann@mnsu.edu. On this segment of the Athlete Spotlight, the inSIDER features MSU baseball player Bobby Gauvreau. Gauvreau is from Marietta, Georgia and majoring in Sport Management. 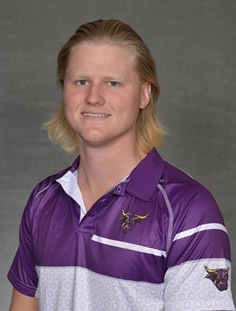 He went 1-0 with two saves, a 2.45 ERA, 10 walks, 21 strikeouts, 15 hits allowed, and a .234 batting average against in 18 1/3 innings pitched over 14 relief appearances and earned first win of season against Southwest Minnesota State on March 18. Let’s put Gauvreau into the spotlight! What three words best describe you. It’s a new experience from back home and being able to meet new people is always fun. Thank you to Bobby for taking the time to answer these questions. The Athlete Spotlight will be a new weekly segment in order to feature Spring sport athletes throughout the rest of Spring semester and help readers get to know MSU athletes a little bit better. If you are an athlete or know of an athlete who should be featured on the Athlete Spotlight, send an email to alexander.baumann@mnsu.edu.